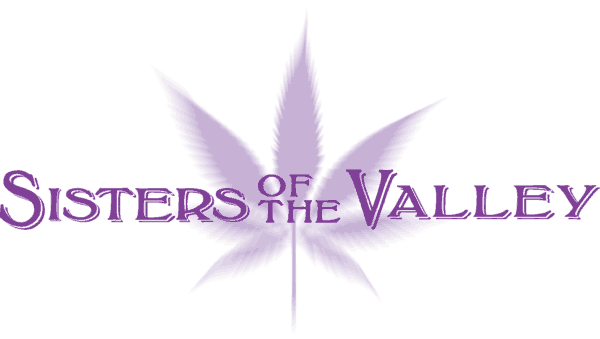 With such a fine line between industrial hemp product and medical or recreational cannabis, the local authorities have conducted a painstaking investigation on The Sisters of the Valley. This investigation took place without The Sisters knowing and proves all practices and products fall within legal operations. The Investigation results were returned in an email and attachments as follows. We finally got laboratory results back from the Colorado Bureau of Investigation regarding the case that we discussed. It seems pretty clear that the product is a low THC, high CBD hemp oil. We will not be initiating any criminal charges on our end. Unless you would need it for anything on your end, I will be returning the product to the sender. Thanks for your help and follow up on your end. I wanted to send you the data so you can visually see what I see for your submitted sample. My report will say "Analysis identified Cannabidiol weighing 10.36 grams (+/- 0.03 gram) net weight." Cannabidiol (or CBD) was identified in your sample. There was a hint of THC, but it was extremely weak. As I said over the phone prior to analysis, I believed there would be residual levels of THC in a hemp sample and this was the indeed the case. I have attached two files. "D16-1327 #1" is your case sample. "D16-1290 #2" is a sample of hash from another case that I ran on the same day as your sample. Look at page 2 of D16-1327 and you will see a peak with "9.503" on top of it. That means this compound (which is CBD) came off the Gas Chromatograph at 9.503 minutes. Now look at the tiny peak to the right of CBD peak...it is so small that our software does not integrate it and give it a "retention time" like the the 9.503 of CBD. This little peak is the indication of THC. If you look at page 5, this is actually showing the mass spectrum (or finger print) of THC. Your sample is on top of the page and the standard it is being compared to is on the bottom. You can see the sample is weak and a lot of the information is incomplete. Now look at page 2 of D16-1290 file. This was a hash sample and you can see how large the THC peak is in this sample (has retention time of 9.860). Compare that large peak to the little tiny peak to the left, which is the CBD in that sample. These retention times are very consistent for compounds. In other words, CBD will always come off the gas chromatograph around 9.5 minutes and THC will come off around 9.8 minutes on this particular instrument. So my final thoughts on your case is that your suspect is not shipping hash oil. If it was hash oil, the THC peak would dominate the others as it was in the D16-1290 case that I sent as an example. Obviously, I did not quantitate the levels of THC for your sample as our lab does not have a method in place for that at this time. There is a good amount of CBD which "is supposed to give you the medicinal effects of Marijuana but without the high of THC". Please call if you have any questions. My voice mail is working now!